If you are planning to create a website for your business, then you should have also had an SEO strategy planned out for it. SEO branding is one of the growth hacks that not only boost sales but also grow a business. Many people consider digital SEO services as an afterthought and that’s the first mistake they make. Why branding via SEO? And how is it useful for your business? Search Engine Optimization is not something that you can avoid in the current times. It is a basic component required for a website. Though its primary purpose is generating search engine traffic, it is not just limited to that. SEO is all about improving the user experience thereby improving the brand image. SEO influences user experience in different ways. And no matter what your business is, the user experience is an important aspect. When the users experience a positive feel on your website, the credibility, and reputation of your brand increases. With effective management of your SEO, the businesses can convert the users into loyal buyers. This way you can drive the traffic you need as well as enhance your brand reach. Visibility on search engines like Google can expose a brand to a multitude of users who are looking for the products and services a company provides. ●Useful: The users will be interested in your site’s content only if the content is of use to them. If they find it helpful, they will start visiting your site frequently. ● Desirable: A design which is appealing to the viewers will attract more people to it. So, the website should have a desirable design. ● Accessible: This is one of the most important aspects in the present day world as people are having multiple platforms to choose from. You should ensure that your website is pretty accessible on desktops, tablets, and mobiles. Also, if your site is mindful to people with disabilities, then it is a great thing. ● Findable: SEO is all about making your content findable on search engines. You should make searching for the information contained on your site easier for the search engines as well as the users. ● Credible: Credibility enhances the brand image. Therefore, you should ensure that your brand shows signs of authority and trust. ● Usable: When your websites become easy to navigate they become usable. Otherwise, your customers and search engines get frustrated alike. While creating your website, make sure to add your contact details on your site. This helps in gaining the trust of your company. If you consider adding a click-to-call element for your phone number, you could then easily track the number of calls as well as sales that are generated through the change. Enabling your customers to contact you easily will result in establishing a good relationship with the customers. Also, it would improve your overall experience. SEO and social media platforms are not two completely different entities. They go hand-in-hand. Many users have responded that they follow the brands on social media due to their accessibility, content updates and promotional offer updates. To increase the exposure of your site, it is greatly advised that you include the content sharing on social media platforms as well. Improving social network performance would build higher engagement with the target audience. In an age where social media has become an indispensable part of our lives, it can be avoided in business. Instead, with effective social media management, a company can achieve great overwhelming results. Since social media is a traffic referral source, it can be utilized efficiently to promote your business as well in creating brand awareness. Adapt to a more responsive design for customers to be able to find the products and services offered by your company. Poor navigation will reduce the site’s performance as well as its reach. With the growing number of mobile users, a mobile website has become a number one priority for website optimization. It has been found recently that mobile traffic accounts for more than 50 % of all traffic. Without a responsive site, Google will not display your site in the search results. Many people turn to their mobiles in the hour of need and if your site is not accessible on a mobile, then that could be the only reason for the failure of your business. To optimize your website for mobile displays to increase traffic through mobile users. For building a brand, the first priority should be to provide a good user experience for your users. Google has studied that website speed has a great impact on sales. The customers nowadays are quite restless and if it takes more than 5 seconds for a site to load they get frustrated. A decrease by one second of the website speed can lead to an 8.3% increase in bounce rate and 3.5 decreases in the conversion rates. How to improve the bounce rate of your website? People abandon or ignore sites which have slow speed. So try to avoid the factors that lead to the reduced speed of your website. Having a fast speed for your website can, therefore, improve the conversion rates as well as the ranking on Google. A study by Google reveals that 55% of the users ignore the brand that has poor reviews. It is obvious because whenever we find a product by a certain brand, we check the earlier reviews of the brand, the responses by the previous customers, review blogs etc. Most people rely on reviews to trust a brand. Not just that, even the search engines give importance to the reviews as they are user-generated content. You can incorporate customer reviews on the product pages. This would help in developing trust among the users. The reviews do not always need to come from the customers, it could be from influencers or bloggers of that particular niche. Asking for reviews would enhance the reputation of the brand. You should know that design is one of the most important elements in the SEO branding of your business. A person recognizes or recollects a brand by seeing its logo or color. A business logo has a great impact on the viewer’s mind and helps in establishing an emotional attachment to it. Similarly, the website design creates a great impact on customers. The website design can be optimized for search engines. Ensure that the designs are SEO friendly. Make use of Sitemaps for enabling the search engines to know the structure of your site. Also, go for responsive design for mobile users. Responsive design allows to seamlessly navigate on devices of different sizes and resolutions. One of the prominent components of SEO campaigns is the placement of a client’s off-site content on relevant other websites and blogs. This helps in exposing your brand to a newer audience along with the existing customers. Apart from that, off-site content creates links to your website which would, in turn, boost the organic visibility of your site. By exposing your content to new audiences that could be potential customers you increase your sales. Therefore, promoting or contributing your content on other websites boosts rankings and help in sales as well. If you are wishing to drive more foot traffic to your stores, then local SEO can prove to be quite useful to you. Local SEO provides the brand with the ability to target local markets with location-based searches. By following the local optimization steps, you can boost your local results and target highly-motivated customers. 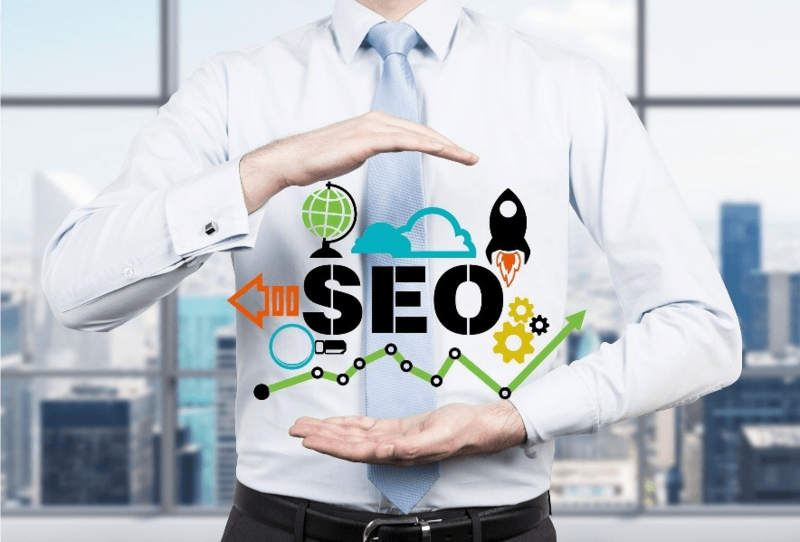 Local SEO is not only beneficial for local companies, but it is also helpful for national and global brands which are looking forward to building market share in specific geographic markets. Article contributed by Hari babu from TechAriz! Oh wow, that was a great article. Your article will help me. Thank you and looking forward to learning more from this blog. Thanks a lot for keeping great stuff. Excellent post, you have shared wonderful piece of information which is very beneficial to us. I really appreciate your new and different post. thanks for sharing this. This article has shared a great point. I do believe that SEO can do more with this.